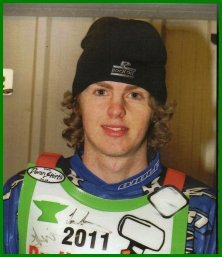 Luke comes from a speedway dynasty, his father Mark and two uncles Gary and Martin also made their names in the sport. He started racing on the Scunthorpe mini-track in 2008 progressing to the winter championships in 2009 then onto the Summer championships, he was spotted by Buxton and made a one-off appearance on the Isle of Wight in July 2009. He continued his progress racing in the Southern Track Events at Rye House and Isle of Wight. On the 11th April 2010 he headed the score-chart in a British Under 21 Championship Qualifying Round at Mildenhall, but unfortunately finished fourth in the final. The following week he scored 8+1 against Dudley in a KO Cup match. Later in the season he was snapped up on loan by Weymouth to replace Danny Stoneman. He made eleven appearances for Weymouth for 58 points and an average of 4.73. He then went back to his parent club Scunthorpe replacing Gary Beaton. After moving to Cornwall in 2011 he fitted into the Dudley jigsaw sharing one of the reserve berths with Darryl Ritchings. 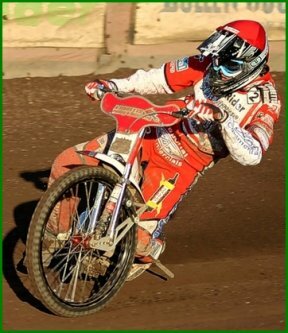 Making his debut on 9th April 2011 at Stoke he got his biggest score for the Heathens with 6+1 from 6 rides. To be honest Luke's biggest problem was staying on, he had plenty of guts and determination but would all too often over do it and fall. To be fair to Luke he was injured in practice sustaining a damaged hand which ruled him out of the British Under 21 Semi-Final at Loomer Road, Stoke in March, but he vowed to be ready for the Heathens opener. True to his word he was. He stayed with the Heathens for seven meetings making his last appearance 3rd May 2011 against Scunthorpe. Dudley had bought back Danny Stoneman to replace Luke, the Heathens were doing a re-shuffle with Kyle Newman coming in to replace injured Adam Roynon it would have put Dudley over the points limit, so Danny Stoneman was the replacement to keep the Heathens under the limit.Luckily for Luke just five days after losing his place he was signed by Isle of Wight to replace Tom Hill. However he took a heavy fall in their match against Belle Vue at the end of May. It was revealed later that he had fractured his coccyx and sternum which put him on the sidelines for six weeks. 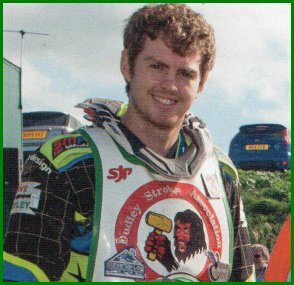 Luke joined Stoke in 2013 to follow in the tyre tracks of his uncle Gary who rode there in the early nineties. He had also moved up to the Midlands which helped with his travel arrangements. Ironically in August he joined Plymouth where he started getting some good scores. In 2014 he moved to Kent and then to Plymouth's Devon Demons. He was very successful at Devon and looks to have an excellent future in the sport. He was signed up for the Heathens as third heatleader in 2016 when he had a very successful year but unfortunately got injured at Buxton in September which finished his season. 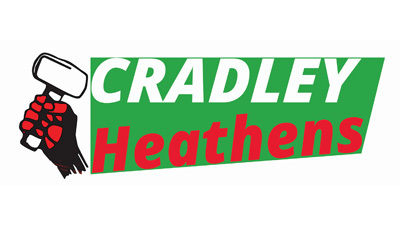 Copyright: Phil & Steve Johnson & Cradley Heath Speedway Ltd, 2015.